Whitney Bess named valedictorian and Evan Bess is salutatorian. 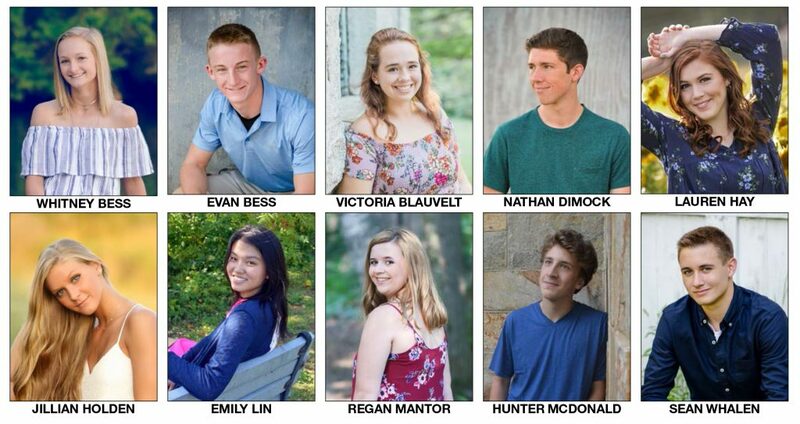 Madison Area Memorial High School recently announced its top 10 graduation seniors, listed alphabetically after the valedictorian and salutatorian. Whitney Bess, valedictorian, is the daughter of Jennifer and Jeff Bess, of Madison. She plans to attend Husson University to study forensic science. Evan Bess, salutatorian, is the son of Jeff and Jennifer Bess, of Madison. He plans to attend the University of Maine to study bio-medical engineering. Victoria Blauvelt is the daughter of Nina and Gordon Blauvelt, of Madison. She plans to attend Eastern Maine Community College to study radiology and then onward to New Hampshire Technical Institute to study radiation therapy. Nathan Dimock is the son of Robert and Robin Dimock, of Madison. He plans to attend the University of Maine to study mechanical engineering. Lauren Hay is the daughter of April and Gene Hay, of Athens. She plans to attend Thomas College to study elementary education. Jillian Holden is the daughter of Chudula and Richard Holden, of Madison. She plans to attend Maine Maritime Academy to study marine biology then onward to veterinary school. Emily Lin is the daughter of You and Bi Lin, of Madison. She plans to attend New York University to study mechanical engineering. Regan Mantor is the daughter of Teresa and Dan Mantor, of Madison. She plans to attend Thomas College to study psychology. Hunter McDonald is the son of Tim McDonald, of Madison, and Heather Howard, of Oakland. He plans to attend Southern Maine Community College to study communications and new media. Sean Whalen is the son of Michael and Kelly Whalen, of Madison. He plans to attend Husson University to study nursing.